New Nike in Store Saturday 2.13.10. 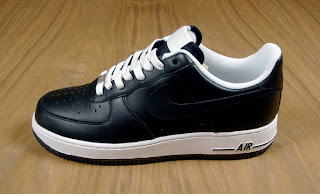 Nike Air Force 1 Low '07. Black, Black, White.